This was an extremely tough course. The conditions of the day did not help but you can’t stop the weather. 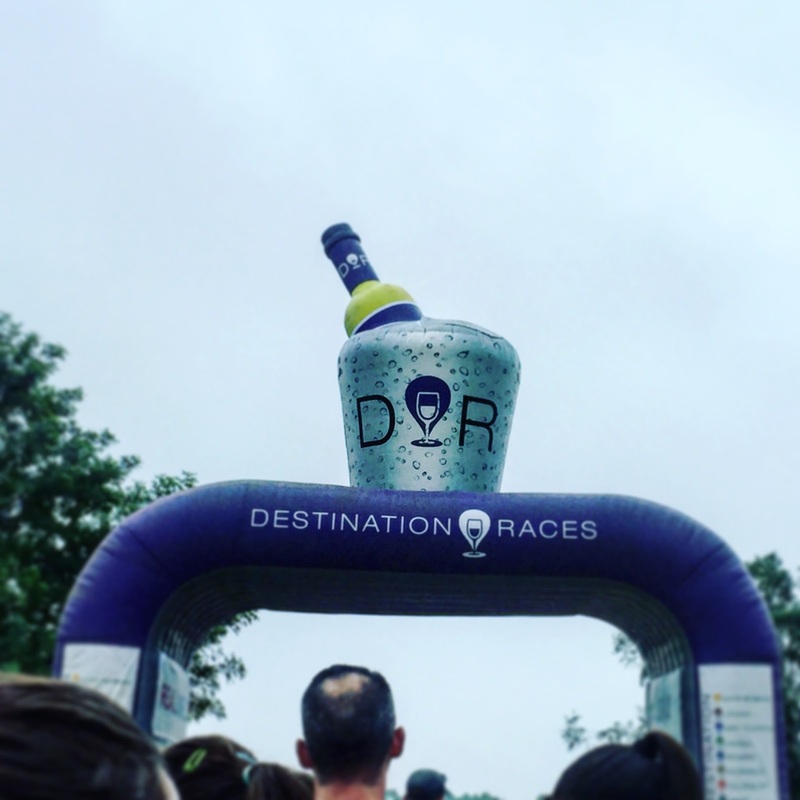 The race is located about an hour from D.C and starts and finishes at Doukenie Winery in Purcellville. The expo was on Friday at Lansdowne resort close to the race venue/an hour outside of D.C. I could not attend due to work so I paid the extra money to pick up our packets in Arlington. The one thing I did not like about this race series was every little thing cost extra. 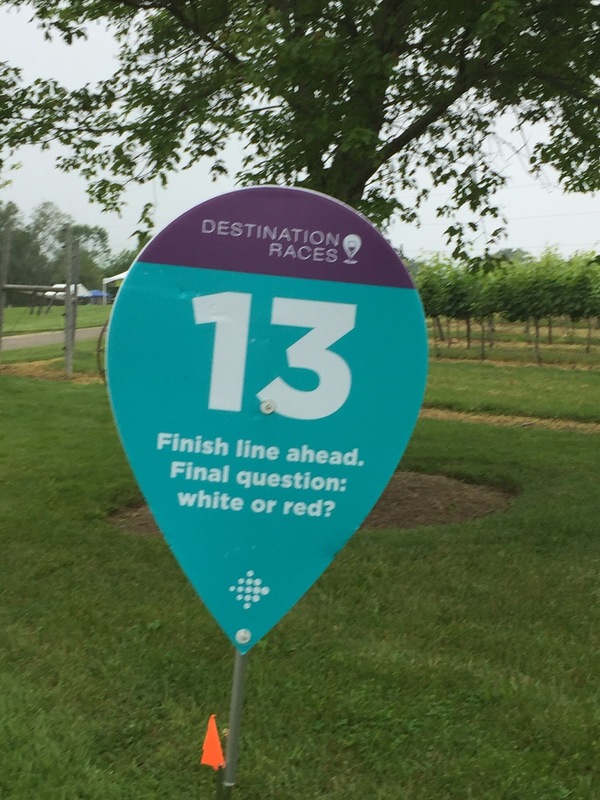 The early packet pickup, the wine tasting, the shuttle service, etc. It was a bit excessive. I honestly was surprised that race photos were FREE! The race started a little later than predicted but not surprising given the traffic line to get into the parking lots. There was no national anthem and “pacers” with tiny signs. 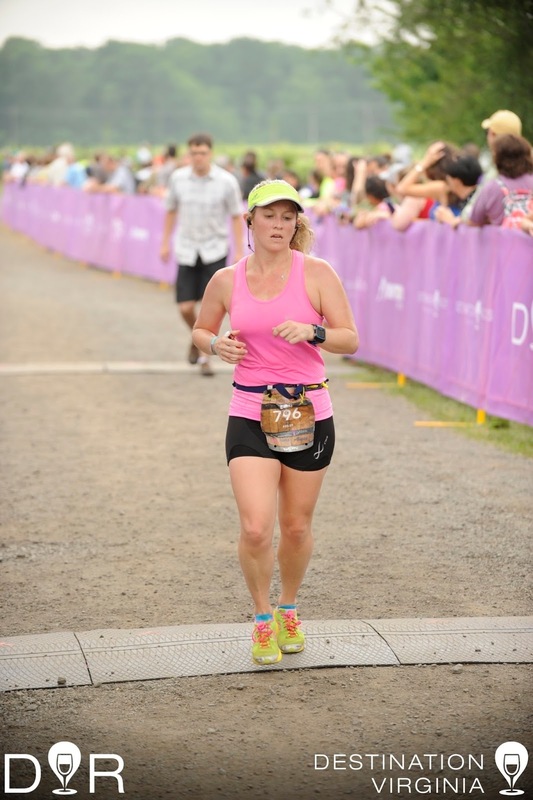 I have visited Doukenie and it’s a lovely vineyard so I was very excited about running a race in this area. WELL, this may be the first and last time I run it. The course was very hilly, partially on gravel and by gravel I mean rocks, not pebbles which made getting your gripping very difficult. The humidity made for a very uncomfortable situation and hard to cool yourself down. The aid stations were approx every 1.5 to 2 miles and only certain ones had GU hydration drinks. I brought my Salt with me thankfully because with the amount I was sweating, I needed to replenish my sodium and electrolytes. The course was very beautiful running through the countryside, vineyards and quaint neighborhoods. The finish line party was probably the best part to the race with access to a massage tent and many vineyard tasting booths (if you paid for it). The finishers medal was a coaster that you could detach from the ribbon so multi-functional. The bathroom situation at the venue was challenging as there was a huge area in the main part with access to port o potties, but not enough of them. So instead they put out some more, further away from the start-finish line. The plus side was that there was not a lot of people waiting there, the negative was the absurd lines at the main bathrooms. Ehh…not a fan: Nickel and diming everything, challenging course/lots of rocks.